Stephen Bull was Curator of Military History and Archaeology for Lancashire Museums, with responsibility for local regimental collections. He has worked at the National Army Museum and BBC in London and has also appeared in the TV series Battlefield Detectives. He has written numerous articles for specialist journals, including a number on the weapons and tactics of the First World War. 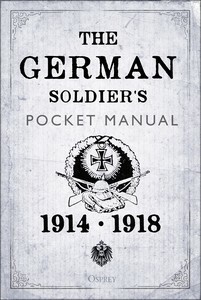 His other books include several Osprey titles on the tactics of World Wars I and II. He lives in Preston, UK. 6) Regulations for Machine Gun Officers, 1916. Approximately 8 pages including a one page intro and one illustration. 8) Anleitung fur Kompagniefuhrer 1917: selection from a German official document giving a standard training regime for an infantry company. 9) German Company attack diagram: Passchendaele 1917. From a captured document in Canadian War diaries. ( 3 pages: double page rendition of the diagram and a one page intro.